I came across Windows 7 activation error: 0xC004F061 in my HP desktop system. How can I fix this error? Fix for Windows Vista Activation error? Fix for Window activation error 0xC004F063? How can windows XP be activated without activation code? 1-Start off by making sure that you have entered the license key correctly. Search for the license key sticker on your computer or your installation package. Normally, you will be able to find the license keys on the certificate of authenticity stickers.2-Next make sure that the product key is meant for the version of Windows 7 you are attempting to activate. For example, license key meant for Windows 7 basic cannot be used to activate Windows 7 premium. 3-After that check if you have license for a full installation if there is no Windows product installed on your hard drive. Purchase or get a valid key for and installation disc for the full installation of Windows 7. 4-Try by installing your previous Windows Vista or XP then performing an upgrade using Windows 7 upgrade DVD. 5-If you are still receiving the same error message regarding an invalid product key, leave the box to enter the product key empty and hit the “Continue” button. Finish the setup and look for the license key online, but remember that you will only be having a time period of 30 days. This is because the key you are using is used for upgrading to windows 7. The upgrade may be from XP to 7, Vista to 7 or even Windows 7's lower version to a greater one (lets say Home basic to ultimate). 1. Do a clean installation of windows (the previous version from which you upgraded to windows 7). Yes, you'll require Formatting the system drive (which is mostly C .
2. Then go to "Windows Anytime Upgrade" & enter the product key there OR Insert Windows 7 disk in the CD ROM & click Upgrade, Then enter the key. 3. Let it install windows (You may need windows 7 disk in the drive still). 4. After the installation is complete, Activate it online or by Automated Telephone Method. Congratulations ! You've activated your copy of windows. install previous version of window which you were using before the installation of windows 7 and then reinstall windows 7. Altough time consuming,but it will fix this problem. and trying for clean installation so you will have to install previous version of window which you were using before the installation of windows 7 and then reinstall windows 7. The error you mentioned is generally associated with upgradation of your current windows 7 with a new one without previously having a windows version like xp or vista. Well another way this error could have cropped up if you had formatted your whole drive and went on with the installation process. So to activate windows 7, you'll need to install previous version of windows and then reinstall windows 7. Since keygen won't work here i recommend you to buy an additional copy of windows 7 which will contain the product key you can use. The error "0xC004F061" comes when trying to ACTIVATE Windows 7. It implies you're using a product key for an upgrade version of Windows 7 and a previous version of Windows wasn't on your computer when Windows 7 was installed. To install an upgrade version of Windows 7, Windows Vista or Windows XP must be installed on your computer. 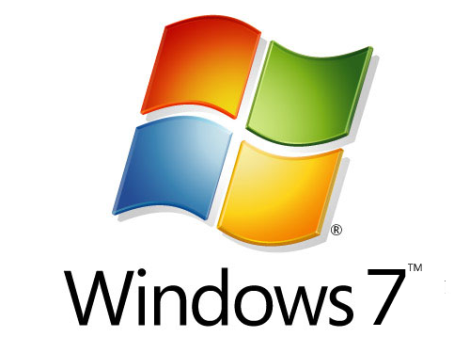 To activate Windows 7, you'll need to install your previous version of Windows, and then reinstall Windows 7. I suggest that you install Windows 7 with your current version of Windows running. * then click Drive options (advanced). I can saw your post so i can say you the answer that i know about it..I think errors are occured either windows are not installed correctly nor problem in an installation cd nor it is an not genuine version..! Try installing the whole OS again with the same disk. If still you are getting the same error then the disk is damaged. Or maybe the SHA encoding key is wrong. In simple terms you will have to install the OS windows 7 from some other disk. 2) After that *press the 'ENTER' key select your 'Country' from the list. 4) Then choose the 'Phone Activation' option. 5) After that stay on the phone and wait for *help with activation. 6) Atlast explain your problem clearly to the support person. They will help you to sort out of this*problem. Why this error message is coming "Activate Windows cannot run because local scripting has been disabled" during activation? How to remove the error message - Setup was unable to create a new system partition or locate an existing system partition? All times are GMT +5.5. The time now is 06:42 PM.